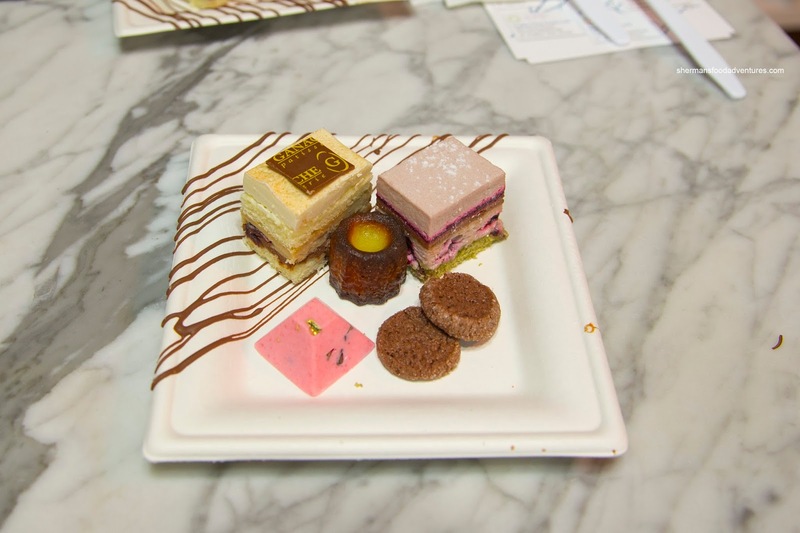 Boy, I can barely remember the last Tasting Plates I attended. In fact, I think it was with Miss Y. 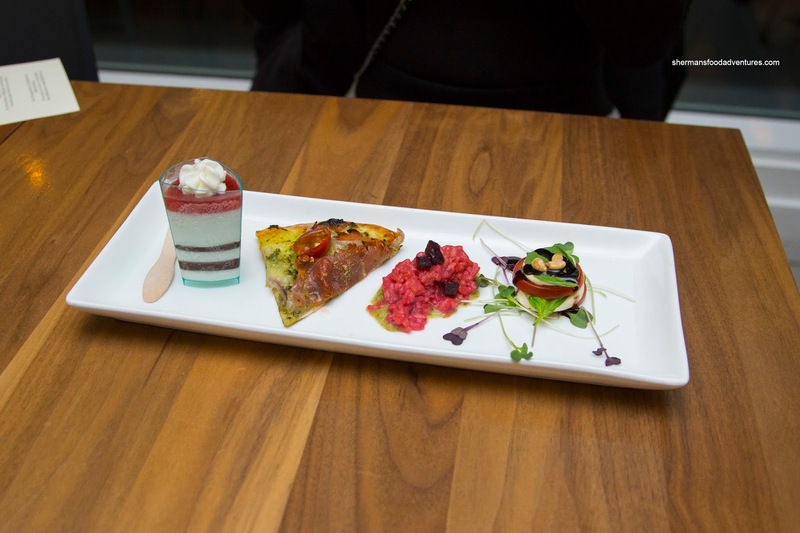 Well, I guess it was destined that Miss Y would accompany me to the Tasting Plates, Downtown South edition. 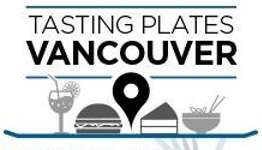 For those who have forgot (or have never heard of such a thing), Tasting Plates involves visiting an array of restaurants and establishments sampling a few items at a time. 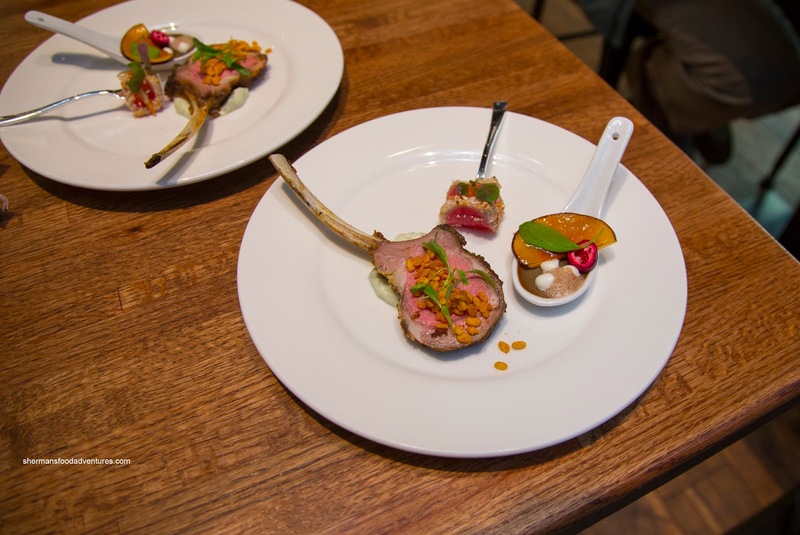 Depending on the destination, service and/or the food (in terms of quality and quantity), there is the potential for patrons to revisit. For our first stop at C-Prime, Miss Y and I were wondering about the aforementioned criteria. Nothing particularly wrong with the food, but they didn't seem prepared as the service seemed confused and we weren't even supplied a knife. 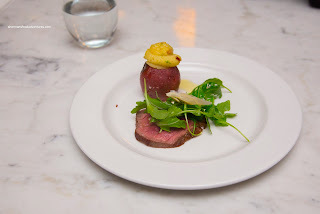 Now back to the food, we were served a CAB Striploin Fiorentina topped with arugula and Parm. A mini-Twice Baked Potato completed the plate. Prepared rare, the meat was fairly tender and succulent, but hard to eat without a knife. I liked the savoury baked mashed potato topping as the exterior was appealingly crispy. Strangely, our next stop at Los Amigos Taqueria didn't serve up any tacos. Rather, we had Churros filled with Nutella and dulce de leche accompanied by a side of chocolate ganahe and Atole. 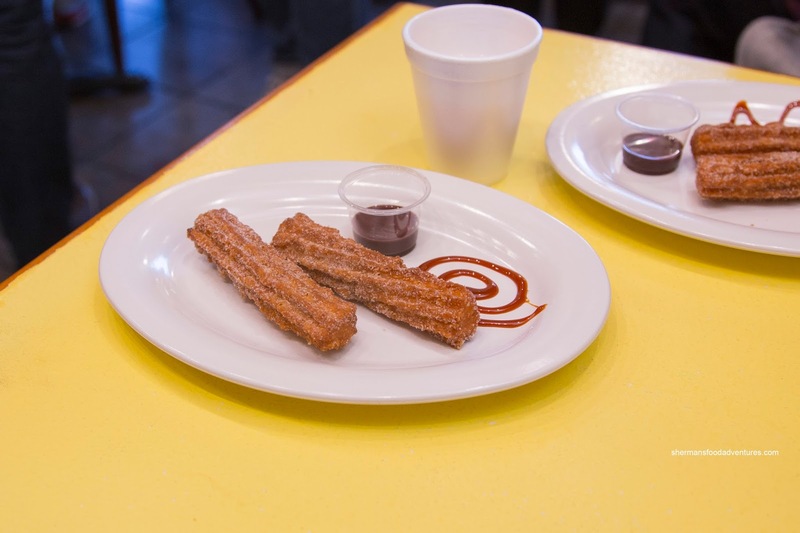 Crunchy and sweet, the churros were mostly sweet due to the sugar rather than the fillings. As such, it made the atole rather mild in comparison with only an aromatic sweetness. Taking a stroll down Davie, we visited Truffles Fine Foods Cafe where we were presented with a plate consisting of Chicken Rillette with plum brulee and nutmeg foam, Moroccan-Style Lamb Pop with mint cucumber raita and bell puri garnish, and Seared Tuna Tataki with citrus kombucha, orange segment and taro root crumb. The best thing on the plate hands-down was the lamb. It was prepared masterfully where it was medium-rare and melt-in-our-mouths tender. The puri garnish provided a nice crunch while the raita added a creamy brightness. I found the tuna tataki to be pleasant texturally with a butteriness accented by a crunch. There was a background acidity which didn't overwhelm. As much as I enjoyed the flavour of the rillette, it was a bit dry and hard to eat off the spoon. From there, we moved onto the nearby Saj & Co where there was a lineup out-the-door. After nearly 1.5 hours, we figured out why. 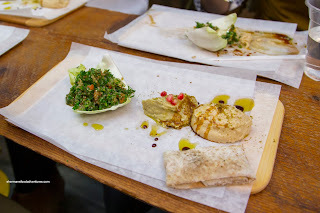 The owner is so passionate about his food, everything was made to order, even the hummus! Also, they served up not one plate of food, but two! 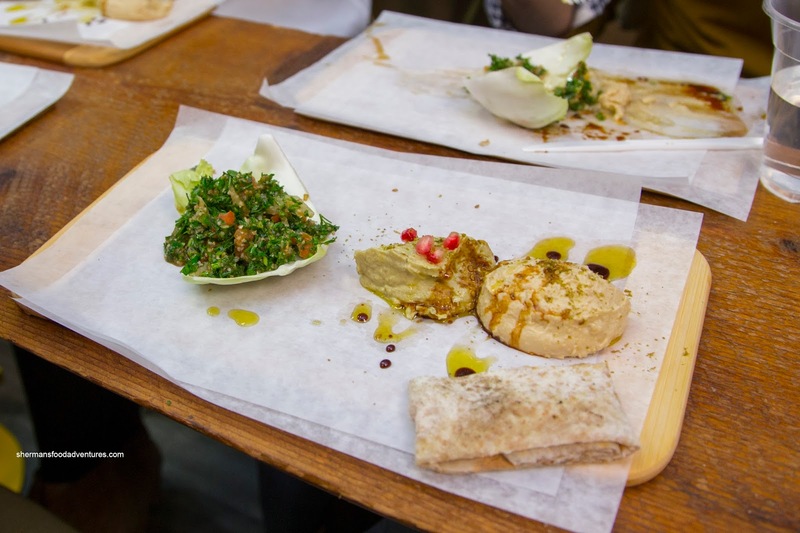 The first one consisted of Tabboule, Kale Mottabal and Hummus. Bright and fresh, this was one of the must acidic tabboule salads I've ever had. For me, I loved the zing, so it worked. On that note, the kale mottabal was also very tart ensuring a high level of impact on my taste buds. A little lower on the acidity scale, the smooth hummus was nicely seasoned. Next up was a portion of Anton the Great and The Green Balila. 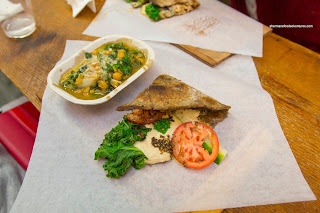 Freshly constructed and consisting of zaatar paste, roasted kale, tomato, cucumber, pomegranate molasses, fresh mint and hummus, the concoction hit all of our tastebuds with a nice array of savoury, sweet, tangy and umami. 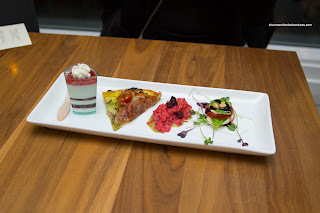 Heading deep into Yaletown, we hit up Bella Gelateria for a plate that included a "G" Sundae with whiskey fudge, strawberry pochee and fior di latte, Genoa Pizza with a pesto base, onion, Prosciutto crudo, cherry tomato and fior di latte, Beet Risotto and Caprese Salad. The best thing on the plate was the pizza as the crust was crispy, chewy and well-seasoned. The aromatic pesto gave way to the salty prosciutto that was tempered by the tart tomato. I wasn't a huge fan of the risotto as it was undercooked and too mild. However, the sundae ended things off well with a creaminess intermittently spiked with a boozy fudge and semi-sweet strawberry. 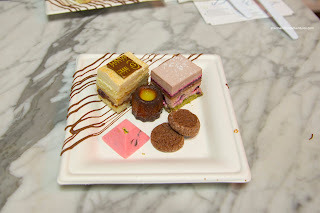 Our last stop was at Ganache Patisserie where we were treated to a plate that included Cacao et Earl Grey, Cassis et Matcha, Chocolate Sable Breton, Canneles de Bourdeaux and Bijoux au Chocola Framboise. With a sweet earl grey buttercream top layer, the cacao et earl grey was nicely balanced by the sour cherries. I found the cassis et matcha to be light and airy with a dominant matcha taste. However, the blackberries did temper the overall sweetness. Since the cannele was small in size, the exterior was extra firm and crunchy. Also firm, the chocolate ate with a snap exhibiting crunchy bits throughout and was not overly sweet. Lastly, the cookies were light, crunchy and mildly-sweet. - Long wait at Saj & Co.